"I want to hear you make noise for freedom, for love, and for justice." On the year that marks 100 years since Nelson Mandela’s birth, Global Citizens all around the world have been honouring his memory by taking action in pursuit of his dream to end extreme poverty. Join the movement by taking action here. 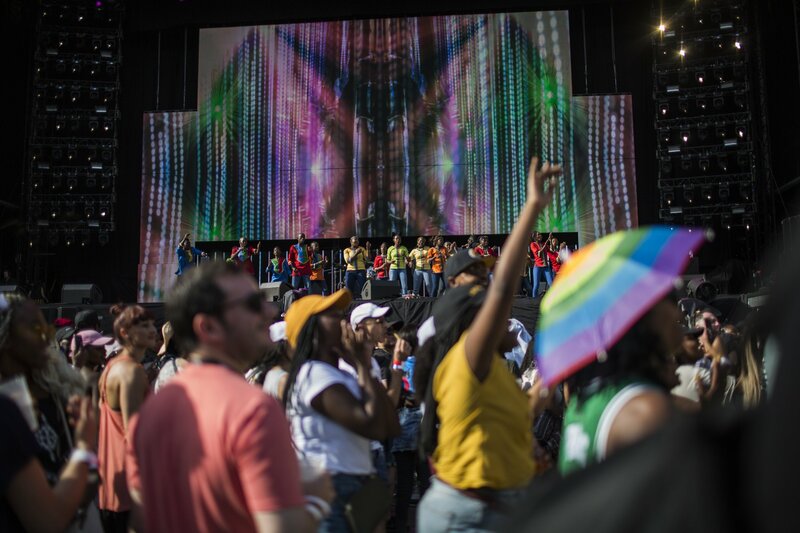 Nelson’s Mandela’s grandchildren and great-grandchildren have said they cherished every moment they spent with him, in a touching tribute made on the stage of Global Citizen Festival: Mandela 100, presented and hosted by the Motsepe Foundation. Introduced by South African comedian Trevor Noah, 11 members of Mandela’s family took to the stage to remember him, honour him, and inspire the world to continue his legacy. Mandela’s great-grandson Ziyanda Manaway said that, while Mandela was an icon for the world, to his family he was Tata. But the Mandela family shared him with the world, because he opened his heart and took selfless decisions in pursuit of his dream of equality. 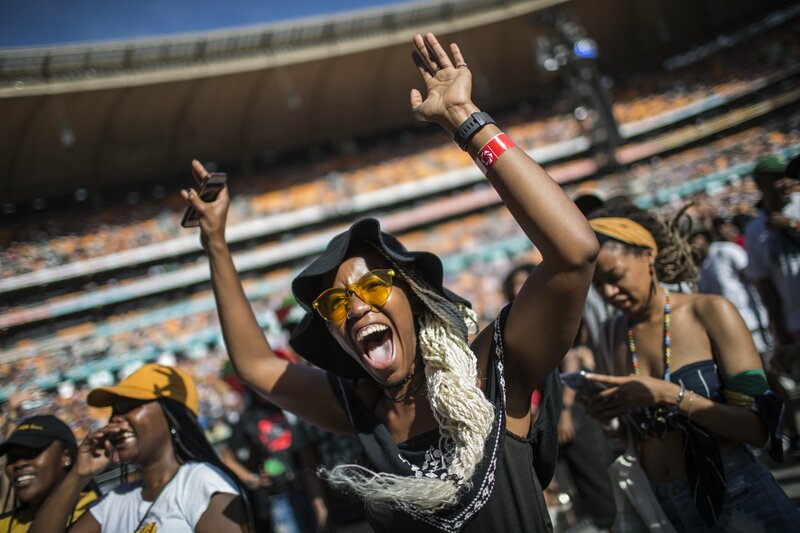 “We, as a family, have spent this past year reflecting on what my great-grandfather stood for and why his message and example are more important now than ever,” Ziyanda told the tens of thousands of Global Citizens gathered at Johannesburg’s FNB Stadium on Sunday. Mandela — affectionately known as Tata by many people, especially in South Africa — stood together with activists across the country, to fight and defeat the oppressive apartheid government, and to champion unity. Phumla Mandela-Amuah said that her great-grandfather stood for a country where people of all colours would be afforded justice, would enjoy their freedom, and would live in a democratic state. On the year that marks 100 years since the birth of Mandela, South Africa’s first democratically-elected president, Global Citizens have taken millions of actions in support of Mandela’s ambition of an end to extreme poverty — through championing issues such as education, healthcare, and gender equality. That’s because, as highlighted on stage by Tata's granddaughter, fashion designer Swati Dlamini, Mandela was a feminist too. “He once said, freedom cannot be achieved unless the women have been emancipated from all forms of oppression,” Swati said, describing Mandela’s work to help make it possible for women to be given a chance to take on leadership roles. In a rousing, inspiring end to the family union, Mandela’s grandson Ndaba called on each of us to continue to raise our voices in the pursuit of the elimination of poverty everywhere. “Today, it is a privilege and a choice for us to take action on behalf of the hundreds of millions of people trapped in the cycle of poverty,” he said. Ndaba — who also runs the Africa Rising movement to inspire young leaders through education, technology, film, media, and through social interactions — urged festival goers to carry Mandela’s spirit with them and to carry on his activism. “Let our voices be heard all the way to Washington DC, Beijing, and Moscow,” he finished, to chants of “viva, viva, viva” from the crowd. “Amandla! Long live the spirit of Madiba! Long live!" Later in the evening, Mandela’s daughters also took to the stage. “I encourage all who are here today to continue being active citizens who work towards the transformation of our lives and challenging governance to actually do the things that will improve the lives of all citizens of this world,” she continued.